Gene Shantz is currently employed with Stroz Friedberg as a DFIR Manager. Gene worked in law enforcement for 11 plus years and concluded his law enforcement career as a Detective Sergeant with the Flagstaff Police Department in Arizona. In 2007 Gene was selected to attend the IACIS BCFE course in Florida and achieved the coveted CFCE in early 2008. When Gene attended the IACIS BCFE Course, he was so impressed that the IACIS organization was made up entirely of volunteer staff, geared toward training law enforcement around the world, that he knew he had to be part of it. In 2008 Gene became a CFCE coach, and in 2009 he was asked to serve on the Communications Committee. In August of 2009 Gene was selected as staff for the 2010 training event in Florida, and, as such, Gene developed and modified the student material and instructed several courses and has continued to serve IACIS as training staff ever since. In October 2011 Gene was asked to chair a new Quality Assurance Committee under the Director of Standards. In the course of one year, the committee was created and played a key role in reviewing all student material prior to the 2012 training event, as well as reviewing new problem sets for the peer review process among other things. 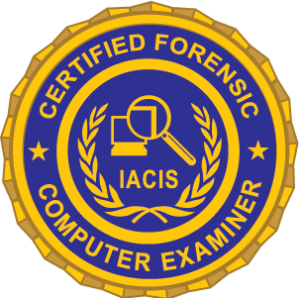 In 2012 Gene was asked to chair the Windows Forensic Examiner advanced class, which he continues to serve as an instructor after being elected to the Board of Directors in 2013. Gene was re-elected to the Board of Directors in 2016 and is currently serving his second term. In addition to training through IACIS Gene has received training from the US Secret Service, SANS 508, NW3C (National White Collar Crime Center), Guidance Software, ICAC (Internet Crimes Against Children) and the Cisco Network Academy.